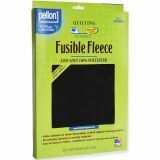 Fusible Fleece - PELLON-Fusible Fleece: Black. 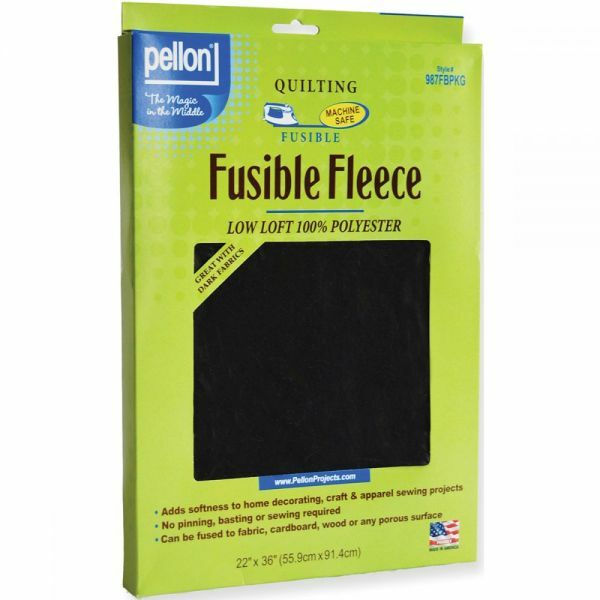 Adds softness to home decorating, craft and apparel sewing projects! No pinning, basting or sewing required. Can be fused to fabric, cardboard, wood or any absorbent surface. This package contains one 22x36 inch 100% polyester fusible fleece. Fabric backed with fusible fleece can be machine washed and is dryer safe. Can be dry cleaned. Acid free. Made in USA.